The King Air is a twin engined, short range turboprop utility or corporate aircraft, built in 4 versions (90,100,200 and 300). Also used widely by military as a trainer and utility aircraft. King Airs are the best selling twin turboprop utility aircraft. 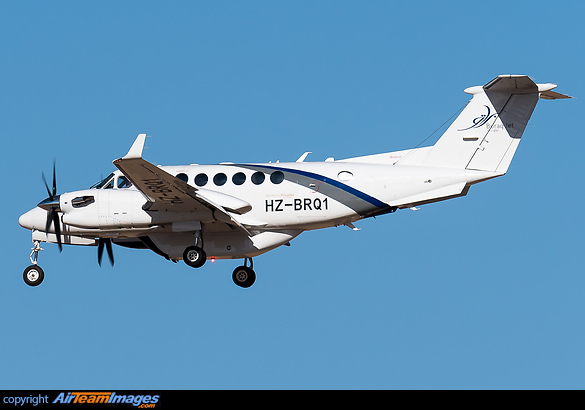 The King Air 300 was at first an uprated 200, but by 1990 it had been stretched, fitted with winglets and weights upgraded to become the King Air 350. It is still in production today in a number of variants, the latest is the medium range 350ER. 2 x Pratt & Whitney Canada PT6A (500 - 1940 shp) turboprop engines.